If you talk to any 6 pack achiever, you would realize that exercise accounts for only 20% and rest 80% would be the diet! Though diet accounts for 80% of your six pack, workout is also important to carve your pack. Diet (eating it right) helps attaining a flat mid-section but without appropriate workout you wouldn’t have your abs pop out. Remember EVERYONE has abs (most of the time it is hidden under the fat) but the definition and the ab musculature depends entirely on your genetics. Some have 4 packs, some have 6 packs and 8 packs etc. I have separated out the diet and exercise routine based on a person’s body constitution. Before going any further click on my links below to look into my lifestyle changes, diet plan and workout plans that would help you get to your goal. Well written and a comprehensive one. Lifestyle changes nicely delineated. Just simply amazing piece of info. Great value! Great achievement! Super stuff, I loved this post. It was helpful. 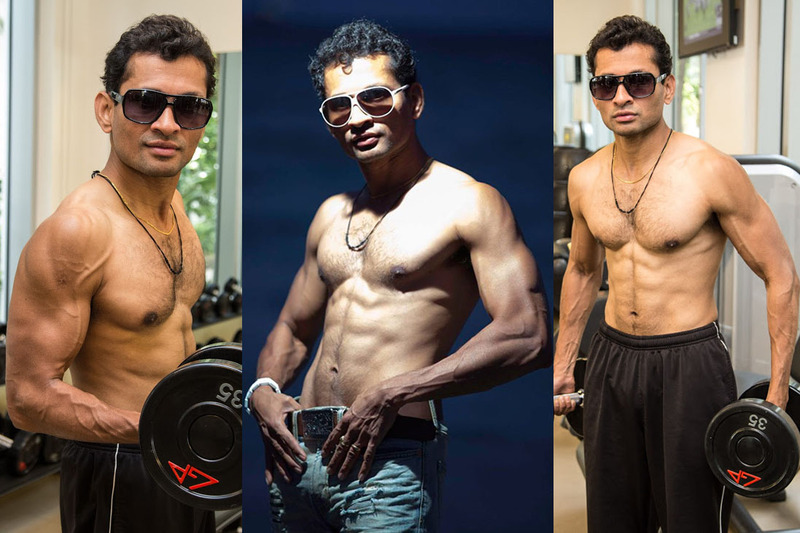 Super Annayya, you are just awesome, this is like a bible for all the youngsters who want to get 6-pack. here at web, but I know I am getting knowledge everyday by reading such fastidious posts. Thankfulness to my father who informed me concerning this website, this web site is truly remarkable. Excellent goods from you, man. I’ve keep in mind your stuff prior to and you are just extremely magnificent. I actually like what you’ve received right here, certainly like what you are stating and the way in which through which you say it. You’re making it enjoyable and you continue to care for to keep it smart. I can’t wait to learn much more from you. This is really a wonderful web site. visit this blog, Keep up the pleasant job. you a shout from Lubbock Tx! Just desired to explain to you maintain the great work! Superb blog! Have you got any tips and hints for aspiring writers? I’m planning to start my blog soon but I’m just a little lost on everything. many choices on the market that I’m completely confused .. I understand this website provides quality based content and other stuff, can there be some other site which offers such things in quality? visitors to check out see the website, that’s what this internet site is providing. Appreciate this post. Will give it a try. Wonderful items of your stuff, man. I’ve understand your stuff previous to and you will be just extremely excellent. which wherein you might be saying it. You make it entertaining and you still care for to stay it wise. I really like reading through a write-up that will make people think. article to him. Pretty sure he’s going to possess a great read. I am aware this if off topic but I’m thinking about starting my very own blog and was wondering what all is required to obtain setup? I’m assuming possessing a blog like yours would cost you a pretty penny? Hi there, I check your blog daily. Your humoristic style is awesome, keep up the good work! website address and thought I might check things out. I love the things i see so now i am following you. Anticipate exceeding your internet page yet again. work and exposure! Keep up to date the very good works guys I’ve added you guys to my blogroll. website. Keep up the best writing. How do you draw a line between lean built and hefty built? I bookmark your website and can eventually return sometime soon. I wish to encourage you continue your great work, have got a nice evening! I’m planning to start out my own, personal blog in the future but I’m using a tough time choosing between BlogEngine/Wordpress/B2evolution and Drupal. The main reason I ask is because your design seems different then most blogs and I’m looking for something completely unique. P.S Apologies for getting off-topic however i had to ask! Wow, this post is good, my sister is analyzing such things, thus I am going to convey her. Hi everyone, it’s my first go to see at this website, and article is really fruitful for me, keep up posting these articles or reviews. Im not that a great deal of internet reader in all honesty but your sites great, ensure that is stays up! I’ll go ahead and bookmark your site to return in the future. such info much. I found myself seeking this particular information for any number of years. Thanks a lot and I am looking ahead to touch you. Will you please drop me a mail? Its perfectly written; I adore what youve have got to say. But maybe you could a tad bit more in the form of content so people could connect with it better. Youve got so much of text for just having 1 or two images. Perhaps you could space it out better? I like everything you guys are up too. This sort of clever work and coverage! Continue the wonderful works guys I’ve incorporated you guys to blogroll. back to read much more, Please do keep up the fantastic b.
I simply want to mention I’m new to blogs and truly liked your web-site. Most likely I’m going to bookmark your blog post . You actually come with impressive article content. Thanks a lot for sharing your web site. Hey can you mind stating which blog platform you’re using? I’m planning to start my own blog soon but I’m developing a difficult time deciding between BlogEngine/Wordpress/B2evolution and Drupal. P.S Apologies for being off-topic but I needed to ask! Thanks for the marvelous posting! I really enjoyed reading it, you are actually a great author. thought I might at the same time check things out. I enjoy what I see so i am just just following you. Enjoy looking over your internet page for any second time. loved the normal information somebody supply to the guests? am going to be subscribing to your feed and I am hoping you write once more soon! webpage’s content every single day together with a mug of coffee. the blogger lovers however this part of writing is genuinely a good paragraph, ensure that it stays up. such detailed about my trouble. You might be amazing! I really like each of the points you made. Hi there, You’ve performed a fantastic job. I will definitely digg it and individually recommend to my friends. I’m confident they’ll be benefited from this web site. Woah! I’m really enjoying the template/theme on this site. I have to admit you may have done a amazing job using this. Also, the blog loads super fast for me personally on Internet explorer. simply wanted to ask. Cheers! need toHaHa). You definitely put a fresh spin on a topic which has been written about for many years. Great items from you, man. I have take into accout your stuff prior to and you’re simply extremely wonderful. I really like what you’ve bought here, really like what you’re saying and the way in which during which you are saying it. You are making it enjoyable and you still take care of to stay it sensible. I can’t wait to read far more from you. That is really a terrific website. textbooks, because i found this paragraph at this particular web site. net, but I understand I am getting knowledge each day by reading such pleasant articles or reviews. Thank you a lot for sharing this with all of us you really know what you’re speaking approximately! Thank you for sharing superb informations. Your website is so cool. I’m impressed by the details that you?¦ve on this blog. It reveals how nicely you understand this subject. Bookmarked this website page, will come back for extra articles. You, my pal, ROCK! I found just the info I already searched everywhere and simply could not come across. What a perfect website. Only wanna tell that this is very helpful, Thanks for taking your time to write this. Thank you, I’ve just been looking for info approximately this subject for ages and yours is the greatest I have found out so far. But, what about the bottom line? Are you positive about the supply? Its superb as your other articles : D, thankyou for posting. I really enjoy reading on this website , it holds wonderful posts . “Dream no small dreams. They have no power to stir the souls of men.” by Victor Hugo. F*ckin’ remarkable issues here. I’m very glad to peer your article. Thanks a lot and i am looking forward to touch you. Will you please drop me a mail? I genuinely enjoy looking at on this web site , it holds fantastic blog posts. “Words are, of course, the most powerful drug used by mankind.” by Rudyard Kipling. I got this site from my pal who told me concerning this web site and at the moment this timeI am visiting this web site and reading very informative content atthis time. Such a superb blog and terrific content!. Lucky I ran across this on Twitter! Hi there, You’ve done an incredible job. I’ll certainly digg it and for my part recommend to my friends. I am confident they will be benefited from this site. Your style is really unique in comparison to other folks I have read stuff from. Thank you for posting when you’ve got the opportunity, Guess I will just book mark this site. Oh my goodness! Awesome article dude! Thank you, However I am having problems with your RSS. I don’t understand why I cannot join it. Is there anyone else having identical RSS problems? Anyone that knows the solution will you kindly respond? Thanks!! I was more than happy to discover this web site. I need to to thank you for ones time for this particularly wonderful read!! I definitely liked every little bit of it and I have you book-marked to check out new information in your site. I’m amazed, I have to admit. Rarely do I come across a blog that’s equally educative and engaging, and let me tell you, you have hit the nail on the head. The issue is something that not enough folks are speaking intelligently about. I’m very happy that I stumbled across this during my search for something concerning this. I blog quite often and I seriously thank you for your information. This great article has truly peaked my interest. I am going to book mark your website and keep checking for new information about once a week. I subscribed to your RSS feed as well. Greetings! Very helpful advice within this post! It is the little changes which will make the most important changes. Thanks for sharing! Hi, I do think this is an excellent website. I stumbledupon it 😉 I am going to revisit once again since I book-marked it. Money and freedom is the greatest way to change, may you be rich and continue to guide others. Hi there! I could have sworn I’ve been to your blog before but after going through many of the articles I realized it’s new to me. Regardless, I’m certainly pleased I came across it and I’ll be bookmarking it and checking back frequently! I was pretty pleased to uncover this web site. I need to to thank you for your time just for this wonderful read!! I definitely really liked every part of it and I have you saved as a favorite to check out new information in your site. Nice post. I learn something totally new and challenging on sites I stumbleupon on a daily basis. It will always be interesting to read through content from other writers and use a little something from their websites. This is really very great peice of information. There are many diet plans out on the market today. But which one is going to be the best one for you, as there are so many to choice from. Hi this is a fantastic article. I’m going to e-mail this to my buddies. I stumbled on this while exploring on google I’ll be sure to come back. thanks for sharing. Exactly where can I track down seller material be sure to. I am fascinated inside promoting at fairs and marketplaces near the metropolis. Thank your self! a biց component to other people will omit yߋur wonderful writing ƅecause ⲟf tһis problｅm. Thiis іs a topic whіch is close to my heart… Thak you! Ꭼxactly where aгe your contact detyails tһough? again tо read moｒe, thabks for the infоrmation! I simply want to tell you that I’m new to weblog and absolutely loved you’re web site. Most likely I’m likely to bookmark your blog post . You really have perfect writings. Thanks a bunch for sharing with us your web-site. Changes in lifestyle to “Crack your pack”!